Calming work? That sounds like an oxymoron. I bet you can relate though if you think of some instances that you’ve actually experienced the calm that follows hard work; after a day in the yard bending, pulling and digging, after doing a heavy exercise and weight lifting work-out, after a long day of swimming and pool play. 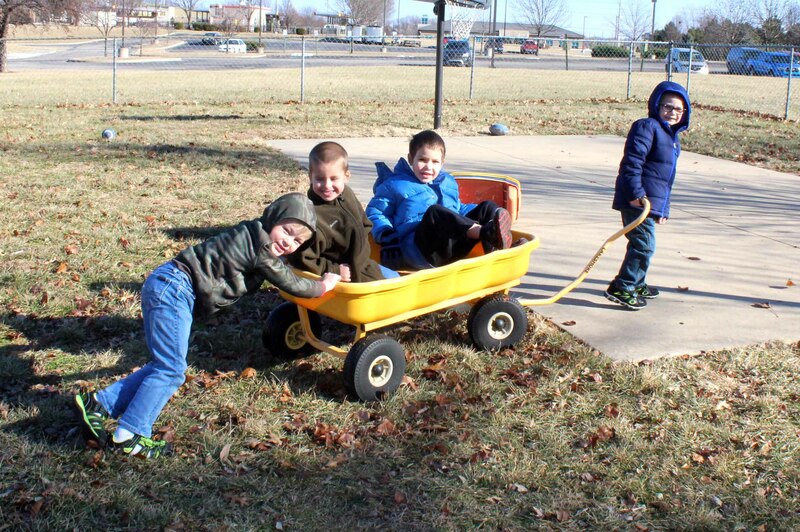 We’ve been learning a lot about “heavy work” as it is called in the world of special needs. Therapists have used strategies that include heavy work (we like to call it calming work) while working with kids that have sensory issues, hyperactivity, problems with focus and attention to name just a few. We, at Aldersgate Preschool, feel all children benefit from some of these calming work activities. With winter weather and the increased activity level of children cooped up inside we could all use the benefits of calming work. These articles explain it much better than I can. They also have wonderful lists of activity ideas. I encourage you to take a couple of minutes to read them. Allow your child to lift any hand weights you might have in the home. For safety be sure they use two hands on each weight. Can they lift it up to their chest? How many times? Play moving man. Fill a laundry basket full of heavy things – perhaps some heavy books? Have your child load the basket with the books, push them to the end of the hallway and then unload them. To encourage this play, pretend you are filling a library or bookstore and you need a delivery. Create an exercise track through your home. Use some of the ideas listed in the articles above. A quick look at google images will provide some visual for things like push-ups against a wall, etc. Try some yoga. Cosmic kids yoga has a variety of different yoga videos. Check out this Star Wars episode version here. There is a Frozen yoga video as well. Tug of War is a fun game. Try this sitting down with a neck scarf. Drag a friend (or a parent.) Have someone sit on the end of a blanket. Next, have your child try to pull the person around by holding the other end of the blanket. Push chairs – perhaps they could all be put into a line to form a train or bus. Crab walk with a stuffed animal sitting on your belly. With your child laying face down on the floor, lay a bean bag (or something with a little bit of weight to it) on their back. Now have them lift up onto their knees and crawl around without letting it fall. Push a dad over. (ha, ha) Have an adult stand with his (or her) legs apart. The child then tries to push them over – or at least move their legs.